Dell branded (non-generic) 3TB SATA HDD for your PowerVault MD1200 storage needs. 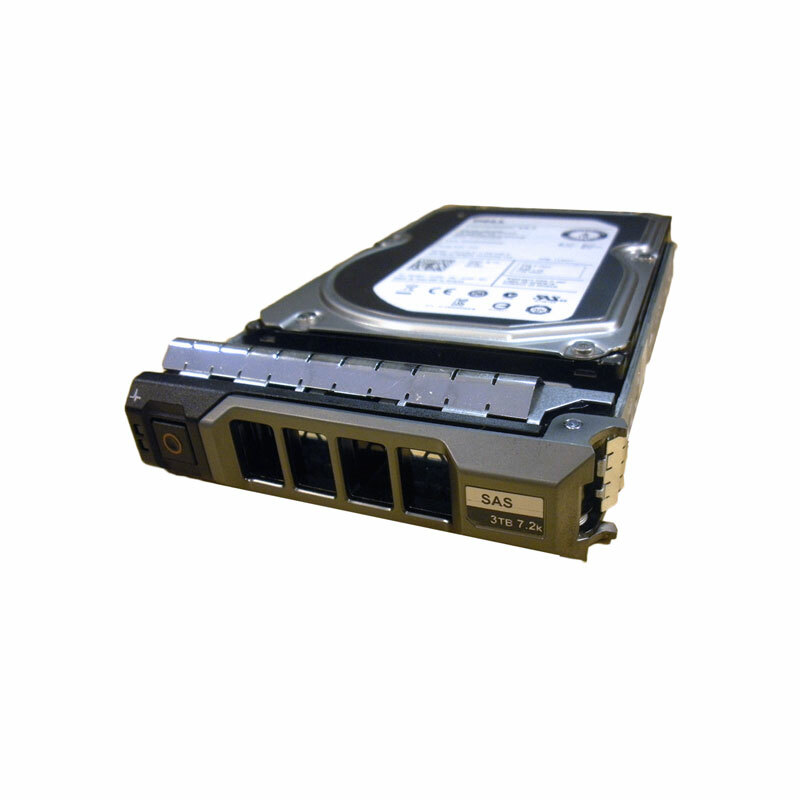 The 55H49, 9ZM278-150, ST3000NM0023 is a 3TB 7.2k RPM SAS 6Gb/s hard drive for use specifically in Dell PowerVault MD1200 direct attached storage (DAS) arrays. Whether you’re upgrading your Dell PowerVault MD1200 DAS system or simply looking for a replacement hard drive, we have what you need. If you don’t see the part listed that you’re looking for, please use our Contact Us form; as we have many parts in inventory that are not listed. Please note that all Dell PowerVault hard drives, systems and parts are used / refurbished, fully-tested, and backed by a 60 day warranty. Compatible with the MD1200 series PowerVault system. Dell PowerVault MD1200 SAS HDD with part numbers 55H49, 9ZM278-150 & ST3000NM0023 is best suited for higher-capacity environments to help realize cost and capacity benefits. Sequential access applications have a tendency to maximize any caching advantages of the storage system, and take advantage of the higher density SAS disk drives. In these applications, the speed at which the drive can transfer data from the platter has the greatest effect on overall performance. Thus, medium-to-large block and sequential I/O applications can reap the greatest benefits from the drive’s higher area-bit densities. Dell PowerVault MD1200 is the second generation of Dell’s low-cost, high-capacity expansion enclosure that improves density, versatility and performance over previous generation to enhance support for mainstream and capacity-intensive applications. The PowerVault MD1200 offers seamless expansion for Dell PowerEdge servers with the PERC H810 Host-RAID adapter. It also offers drive flexibility when adding capacity or data tiering to any of Dell’s primary storage arrays. The MD1200 is Dell’s most versatile direct-attached storage expansion enclosure. Featuring support for 2.5 inch drives, as well as the ability to mix 2.5-inch and 3.5-inch enclosures behind a single PERC H810 Host-RAID adapter,the PowerVault MD1200 delivers capacity and performance to support most customer deployments. The 55H49 is a 3TB 7.2k SAS HDD designed specifically to work with the MD1200 to allow for 36TB of raw storage space in a small 2U form factor. Great price, HDD worked without issue. I think I just found my new supplier for replacement drives!